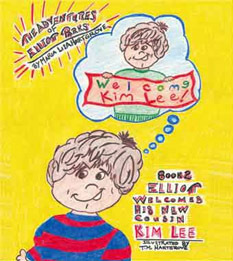 Welcome Kim Lee, is the second in a series of books about The Adventures Of Elliott Parks. Eight year-old Elliott is the creation of Maria L Hartgrove and the characters and stories are based around Maria's family and their life experiences. 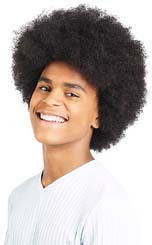 Elliott is a mixed-race child in a loving mixed-race family but that fact does not always dominate the stories, nor is it mentioned in all of the stories. Welcome Kim Lee introduces children to the process of international and transracial adoption and gently illustrates the importance of involving both immediate and extended family in welcoming a new family member. Adopted chiildren not only gain new parents, they usually gain new aunts, uncles, grandparents, cousins and siblings and it's important that everybody plays a part in making them feel welcome in their new family. Welcome Kim Lee is a great resource for helping parents, carers and other family members answer some of the questions young children often ask about adoption. It also reminds us that though we may sometimes look different from other members of our family, what is important is that we love and look after each other. The Adventures Of Elliott Parks - Welcome Kim Lee , can be ordered direct from Traffordpublishing.com or UK customers can ring their UK order desk clerk on 0845 230 9601.